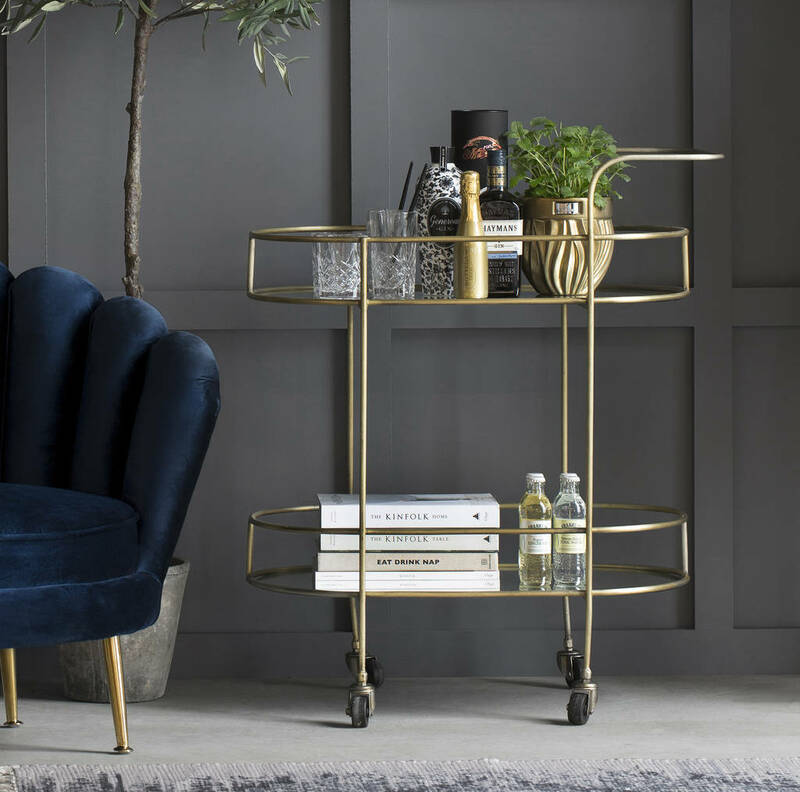 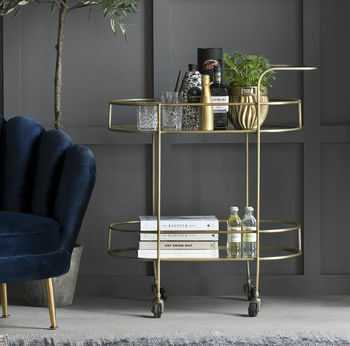 Display your favourite drinks and glassware on our gorgeous light gold bar cart. 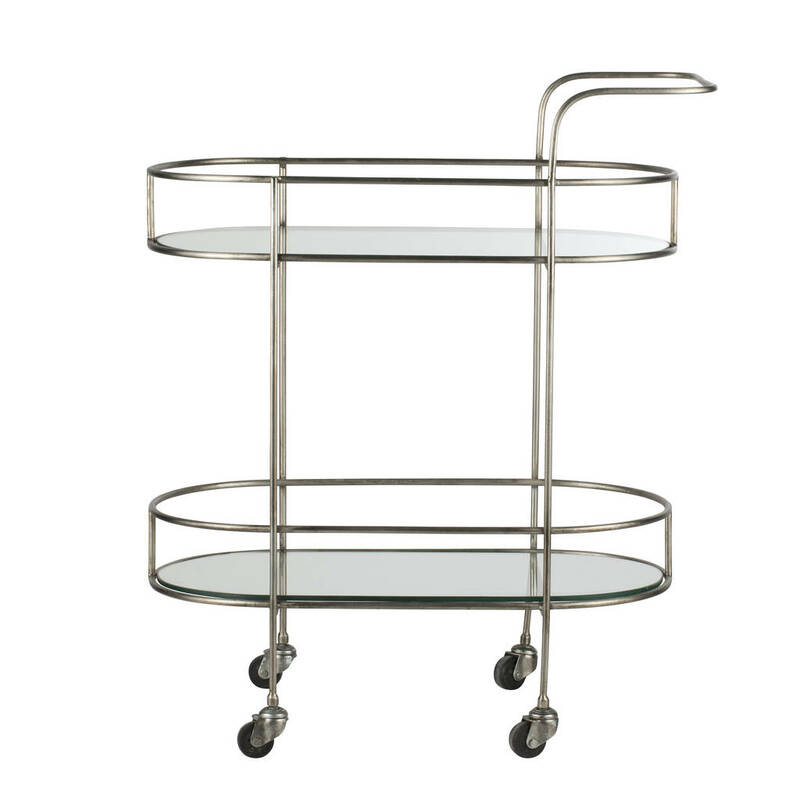 With two glass shelves and a useful handle ,it can be easily moved around, making it a useful accessory for your party. 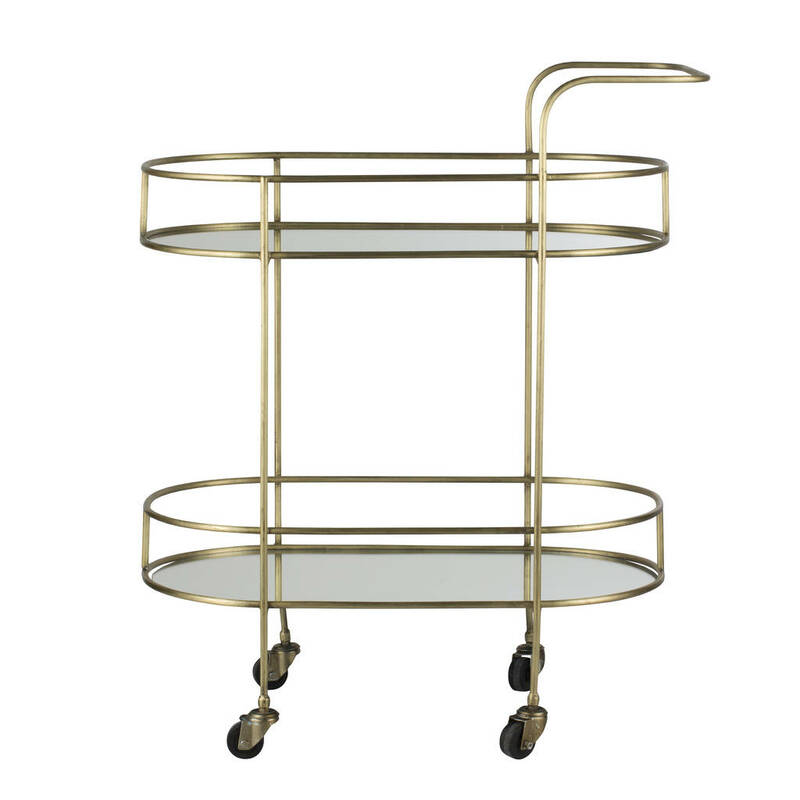 This product is dispatched to you by Ella James.